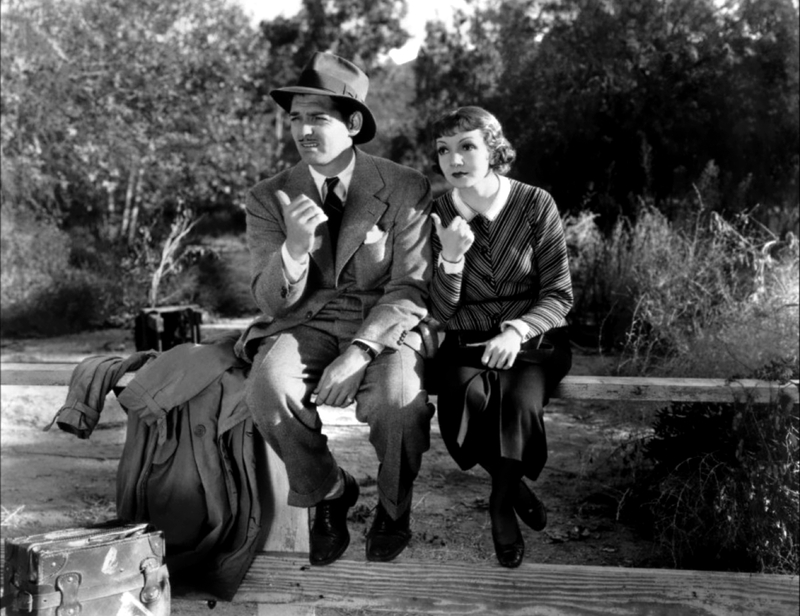 A romantic comedy bundled into a road movie, It Happened One Night sparkles with wit, two transcendent performances, and an early harbinger of women's charge towards independence. 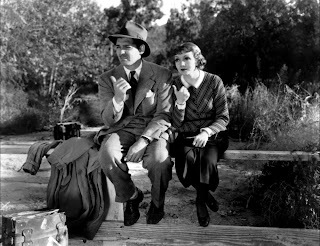 Spoiled heiress Ellie Andrews (Claudette Colbert) is at war with her wealthy father Alexander (Walter Connolly), who is holding her prisoner on a yacht. Although she has eloped with her lover King Westley (Jameson Thomas), Alexander refuses to acknowledge the marriage and is looking to have it annulled. Fed up, Ellie makes her escape by jumping off the boat, swimming ashore, and boarding a bus headed to New York, where she hopes Westley is waiting. 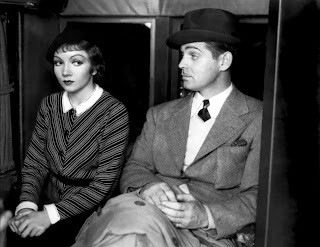 Also on the bus is resourceful but independent-minded journalist Peter Warne (Clark Gable). Peter and Ellie end up sitting on the same bench and quickly irritate each other. As the bus lurches from stop to stop and detectives hired by Alexander crawl across the landscape looking for the runaway heiress, Peter realizes that his travel companion is the scoop of his life. He helps her avoid detection by pretending that they are a couple, sharing a hotel room and hitch-hiking together when the bus starts to attract too much attention. Although Peter is initially just seeking the big story and Ellie just wants to get to New York, they are gradually and unmistakeably drawn to each other. A breezy comedy, a likable romance, an unexpected commercial hit, and a huge boost to the careers of Gable, Colbert and director Frank Capra, It Happened One Night was the first movie to win the five major Academy Awards for Best Film, Actor, Actress, Director, and Screenplay. It held that unique distinction until One Flew Over The Cuckoo's Nest (1975) matched the achievement. The movie crackles with sharp dialogue exchanges and an undercurrent of cute lust. 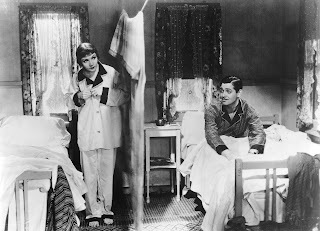 The hitch hiking scene, with Ellie lifting her skirt to stop a car, and Peter hanging a blanket to split the hotel room in half and provide Ellie with privacy, are both legendary movie moments instantly associated with It Happened One Night. Other magical scenes include Ellie and Peter bickering like an old married couple to throw off the snooping detectives, and Alexander attempting to talk his daughter out of properly marrying King Westley while walking her down the aisle. The romance between Ellie and Peter rings true because neither of them undergo a sudden, dubious transformation. Both remain faithful to their characters, with Peter gruff and impatient to the end, and Ellie never losing her sense of entitlement and whiff of snobbishness despite her growing dependence on Peter. Gable and Colbert bring the pair together with a chemistry the builds from a mixture of mutual stubbornness and matched determination. 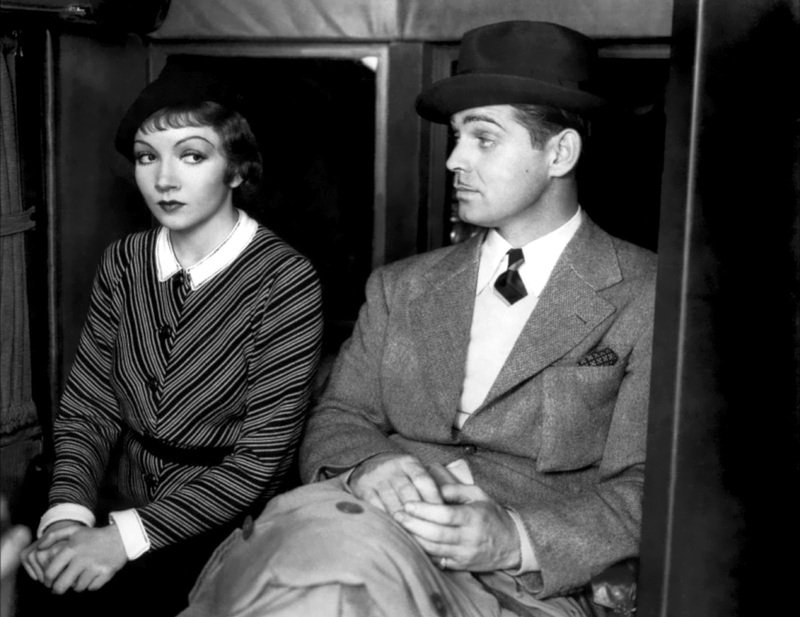 Gable plays Peter as strictly unimpressed with Ellie and her class, yet finds within the corners of his ink-stained reporter habits enough sensitivity to help a woman alone in the rough and tumble world of real people. But Peter is always doubling down on his macho credentials, and legend has it that the sale of men's undershirts tanked irreversibly when Gable took off his shirt to reveal a bare torso. When Colbert jumps off her father's yacht and into the water, her Ellie takes a stand for women who refuse to have their destinies determined by men. And throughout the journey, Colbert gives as good as she takes from Gable, Ellie never bowing to his badgering, and reasserting her independence at every opportunity despite occasionally floundering in the strange environment of the common people, where the bus schedule is not even adjusted to meet her needs. Capra makes sure that for all the coldness of a trip centred on an inhospitable bus ride, the heart of It Happened One Night beats warm, the two characters generating first sparks and then heat as they throw their destinies together for better or for worse. Many romantic comedies have followed in the footsteps of It Happened One Night, but few have matched its hearty celebration of unlikely love flourishing on an accidental journey.